The first thing you need to do is download the latest core and plugins. They can be unzipped to seperate folders, and it doesn't matter where they are. Once they're unzipped, you should have a bunch of .jar files. If Java is installed properly, you should be able to double-click the core .jar files to bring up the configuration and plugin management. If you find that .jar files are associated with WinRar, open up WinRar and go into the configuration. Find the "associations" page and unclick ".jar". 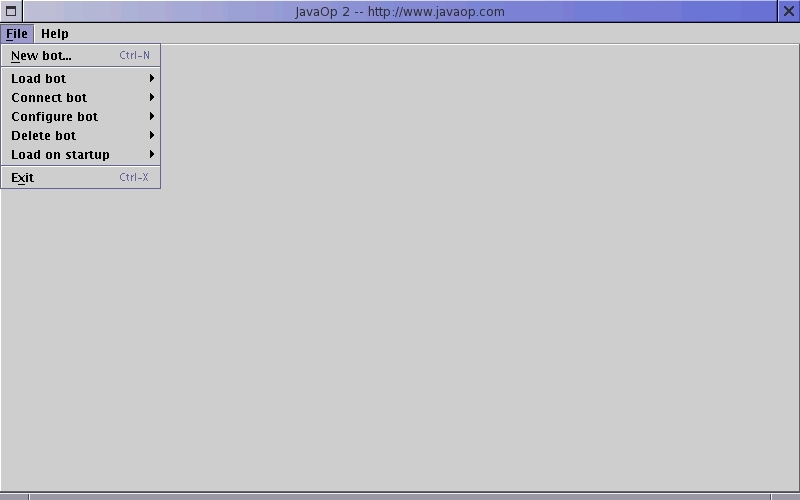 If you still can't double-click .jar files, you probably need to install Java. For more information, see Sun's Download Page, and get the "J2SE 1.5.0 JRE". Once that's installed, you should be able to double-click the .jar files to run them. If you wish to run the .jar files off a commandline, on any platform, use the command "java -jar Jarfile.jar". Note: this tutorial was written for JavaOp2 beta 26. It should still apply to newer versions. It does NOT apply to older versions. In this section, I'm going to explain the various files, their format, and what they are used for. If you are working through a shell with no graphical interface, you will need to edit these by hand. Or if you just don't like gui utilities. When you see a file like <botname>.jbb, replace <botname> with the name of the bot, such as mybot.jbb. 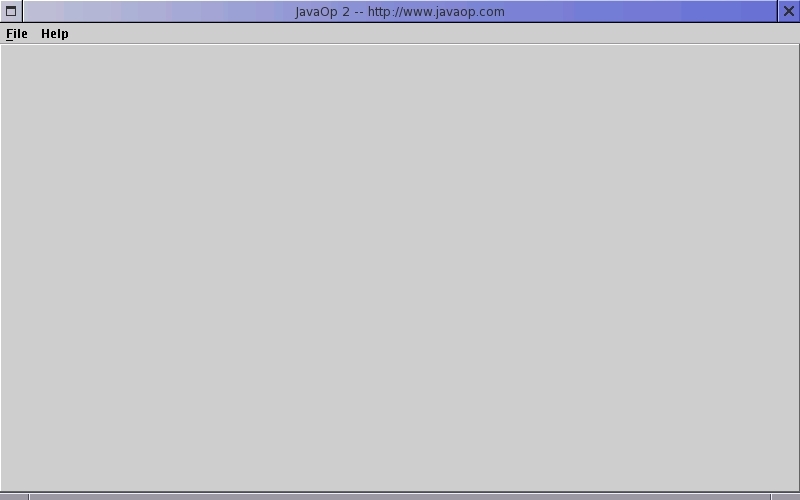 All files are located in your home folder, in a directory called ".javaop2". On Linux, this would be "/home/<username>/.javaop2/", and on Windows it would be "C:\Documents and Settings\<username>\.javaop2\". The reason for this is that it lets you move the bot, or reinstall the bot, or let seperate users use the bot without having to share your data files. 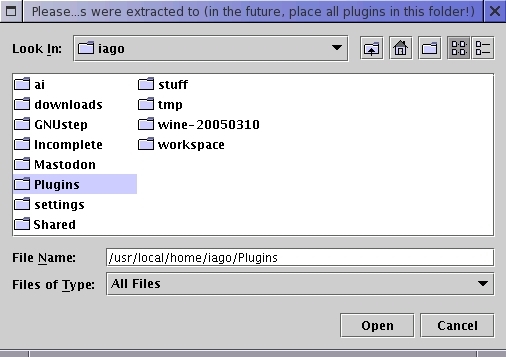 _PluginPaths.txt -- The path or list of paths that is searched for plugins (.jar files). This contains one plugin/line, and it can be a file, a folder, or a url. Modified by SelectPlugins.jar. _DefaultBots.txt -- The list of bots that will be loaded by default (if none are specified on the commandline). There is one bot/line. This is modified by SetupBots.jar. _GlobalSettings.txt -- The global plugins that affect all bots. Currently, I don't use it for anything, but it's still generated. 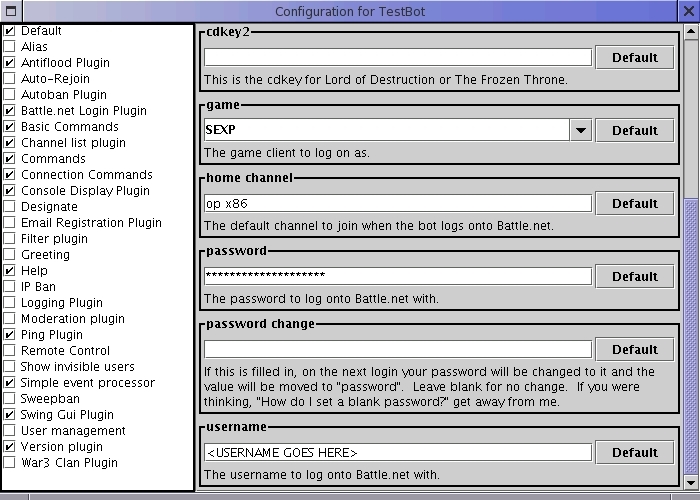 <botname>.jbb -- This is the settings file for the bot. It is divided into sections based on the plugins. Each plugin's section is name=value pairs. This should be automatically generated the first time you run the bot, with default values. It can be edited with SetupBots.jar. <botname>.jdb -- This is the user database file. It is a series of username=FLAGS pairs, where flags has to be in uppercase. The names aren't case sensitive, and can include wildcards. <botname>.plugin -- This is the list of plugins that are loaded by the bot when it starts. This is modified by SetupBots.jar. One plugin/line.